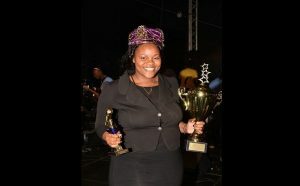 Basseterre, St. Kitts, Monday, 3rd December, 2018, (MyVueNews.com) – If the trend continues from the Elimination process this year, there is a strong likelihood that St. Kitts & Nevis will have another female as its Senior Calypso Monarch, when the competition is held on Saturday 29th December. For the first time in the history of the modern carnival in St. Kitts, the Semi-Finals will have a majority of women. From the 16 selected after the Eliminations on Saturday and Sunday of this past weekend, nine of the calypsonians are females. There were only 7 men who got the judges nod of approval to move on. The women are Queen Kibie, Brown Sugar, Charis D, Genesis, Lil Miss, Singing Jackie, Queen Diva, Singing Sharon and Lady B. For the men, there are King Godfrey, De Awesome Navigator, Unexpected, Hollywood, Lord Kut, Glenroy Blanchette and Lord Payne. One other important observation of note, is that the top five performers coming out of this weekend’s exercise and heading into the Semis, are all women, who dominated the men who made it in the final count. The Semis are slated for Sunday 16th December at Carnival Village. This could be the year of the women as they try to make it two in a row, following the historic win 2017 by Miss Independent, who became the first and only woman to capture the title, since the start of National Carnival in 1971. The following is the full list of Semi-Finalists and the points received at the Eliminations.